Because troubled boys are often noted for their inability to express their feelings, a lot of parents worry about whether their son loves them anymore. Even though teens can sometimes be very withholding of their feelings, it should not indicate to parents that they truly don’t love them anymore. However, some young people behave in a fashion that would suggest this, which is never acceptable. Even though it is highly unlikely that they don’t love their parents anymore, exhibiting rebellious, dangerous, rude, or other unacceptable kinds of of behavior that make parents think this can sometimes be a cry for help. If your son is rebellious, misbehaves, is rude, or behaves in any other way that suggests he doesn’t love and respect you, the proper treatment can reform these kinds of actions. 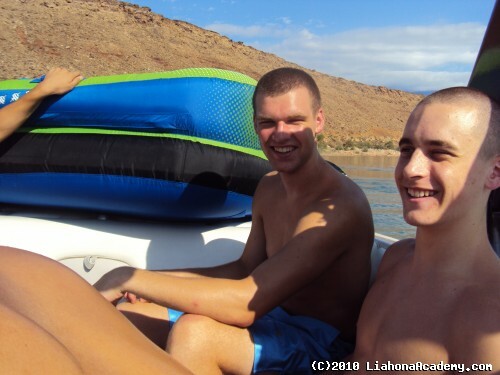 Liahona Academy can assist boys with this problem and can help reunite families, so call us today if you are interested at 1-800-675-8101. Many troubled adolescents don’t want to, or simply don’t understand how to, express their feelings. Many young men go through a resentful phase during their youth where don’t want to be controlled by their parents and want to spend more time with their friends. This is often the reason that they don’t express their love to parents, but rather lash out to distance themselves. When it gets to the point of cruel, dangerous, and disrespectful behavior, that is when parents should seek professional help to show their child proper behavior. Liahona Academy makes it a goal to ensure that our students stop acting out and start treating their families with more respect and love. This is why we use a unique tactic called “family therapy” which is difficult to come by in other treatment programs. You can be sure with our dedicated and passionate staff that your child is getting the best help available, so please call us today for assistance at 1-800-675-8101.